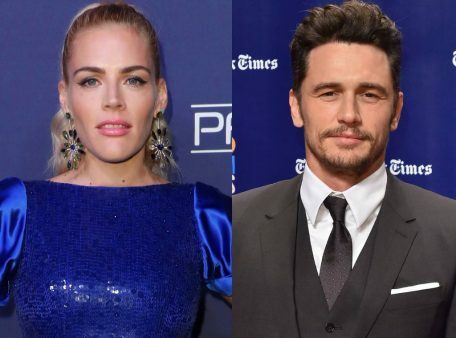 Busy Philipps in a book she just published, ‘This Will Only Hurt a Little’ claimed that popular actor, James Franco, physically assaulted her during the shooting of their movie “Freaks and Geeks”. According to E! News, it was revealed that the actress talked about the alleged incident in 2011 and has now given more details into the incident. Philipps played Kim Kelly, the girlfriend of Daniel Desario (played by Franco), and she refers to Franco in her memoir as “a f–king bully” on the set of Freaks and Geeks. “It felt like over the summer he had read Easy Riders, Raging Bull or something and had decided that the only way to be taken seriously was to be a f–king prick,” she wrote, adding, that there was a time Franco “threw” her on the ground. And that during one day of filming, Franco apparently “kept taking” her lines, prompting a fight between them. However the actor has not reacted to the statement at the time of press release.